ON THE surface, Sam and Phoebe Burgess were a couple that had it all. He's a hunky NRL superstar, earning $1.5m a season playing for the South Sydney Rabbitohs, while she's a stunning and successful writer who has worked for some of the biggest media players in Australia. Just weeks ago, the couple welcomed their newborn son William, who they nicknamed Billy. He joined their daughter Poppy, almost two, and seemingly completed their family. 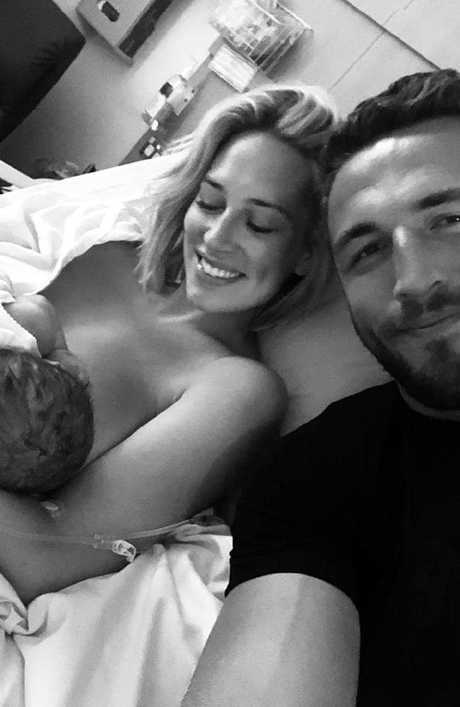 Life shouldn't have got any better for the Burgess'. But behind closed doors, their relationship was at breaking point. Just three weeks after bringing their son Billy into the world, shock reports emerged that the pair had split. Not long after, images showed the England international leaving their Sydney Eastern Suburbs home with packed suitcases and not wearing his wedding ring. In the nine days since their split shocked Australia, things have continued to unravel at an alarming rate. 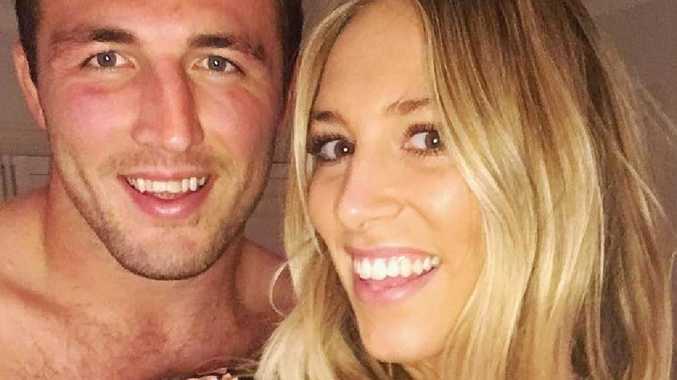 But speculation that things weren't going well had begun months earlier when pair were rocked by a sexting scandal, after a woman claimed she was exposed to lewd images of Rabbitohs players sent from Sam's social media account. The 30-year-old league player was embroiled in the controversy in September 2018, though Sam was later officially cleared of any wrongdoing by the Souths. In emails to the club, the 23-year-old woman claimed she felt violated in her online interaction with the players, who she claimed exposed themselves to her in a video chat. 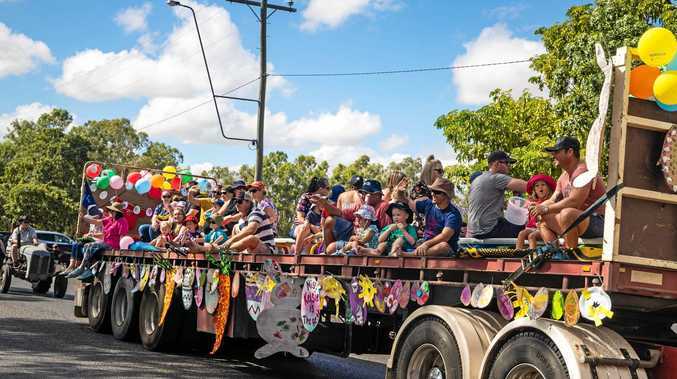 The dad-of-two later admitted the media attention had taken a devastating toll on his family, saying it pained him to see the upset the whole ordeal caused Phoebe, who was six months pregnant at the time. "I'm not angry. What hurts me the most is seeing my wife upset about what's out there," he told reporters, adding he was hoping the situation would be "resolved quickly". The strain on their relationship must have been monumental, though you wouldn't have known it looking at Phoebe's blissfully happy family snaps on her social media. Life before the sexting scandal had been pretty rosy, though many stated their love was a "whirlwind". After meeting at an Avicii concert in Sydney in back in 2014, the pair had a secret long distance relationship for eight months before going public at the Dally M's. When Sam relocated to Bath in the UK to play with Bath Rugby for three years, Phoebe didn't hesitate to follow him, cementing their romance. "As much as Sam will probably cringe at this, when you love someone, you know where you're supposed to be," she told a British paper at the time. Eight months later, Phoebe was flashing a large diamond ring on her engagement finger following a romantic holiday to Greece, sparking rumours the pair had become engaged. The happy news was later confirmed by Samantha Armytage who wished the then Phoebe Hooke her sincerest congratulations on social media, accidentally let the cat out of the bag. Just six months later, the loved-up couple tied the knot in Bowral, surrounded by their friends and family. The stylish wedding was held at her family home, with Sam telling the world it was the "most amazing day of my life". Despite Burgess being known as 'Slammin Sam' for his outlandish behaviour on the field, Phoebe revealed the 196cm footy giant was actually a big softie. In May 2018 Phoebe lauded her sports star husband's virtues in a tell-all interview with Stellar Magazine - in which she described him quite simply "a good man". The dad himself also regularly gushed over his daughter Poppy. The fairytale life together seemed picture perfect - until the cracks started to show in recent times. Even before the sexting scandal, Phoebe began to withdraw from her public profile. A glance at her Twitter account shows the Bobbi Brown ambassador hasn't posted since May 2018, an unusual move for someone who works in the media space. 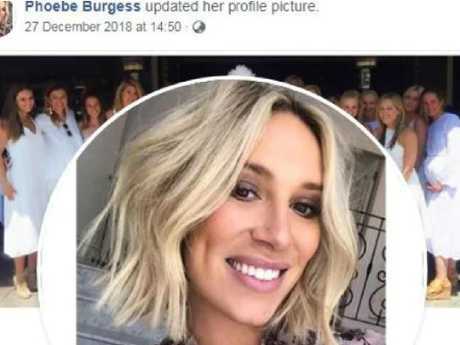 While Phoebe, 29, has appeared to keep up appearances on her Instagram account, with a feed full of happy family snaps, just a week before their breakup was revealed, she changed her Facebook profile photo for the first time in two years. Phoebe changed her profile photo recently, removing her wedding snap. For a long time, her previous photo, which was uploaded in March 2016, was of her and Sam on their wedding day. Her latest upload was a snap of herself, smiling gloriously, in a move fans have since speculated was a major hint the pair were on very rocky ground. Following the heartbreaking news the pair had spilt so soon after the arrival of Billy, the rumour mill went into overdrive. Another major hint things were amiss with the pair came from a Burgess Christmas family photo, shared just days before their breakup was revealed. Sam's sister Joanne shared a family photo from their festive lunch, minus Phoebe, with the hashtag #bestoneyet - causing a stir. Joanna quickly hit back at the suggestion she was making a dig at Phoebe amid the messy breakdown of her brother-in-law's marriage - explaining the mum-of-two had "never joined the 'Burgess' side for previous Christmas festivities". "No need to drag my family or I into any of this - thank you," Joanna wrote on her social media. "It is not in my nature to take a 'dig' at someone. Phoebe has never joined the 'Burgess' side for previous Christmas festivities therefore my # couldn't possibly be aimed at her! This year was no different to last year on her behalf. But that in itself is a major clue things haven't been as good as they seemed on the surface. Who doesn't spend time with their in-laws at Christmas? It's an age-old tradition. The fallout of their romance has continued to go downhill in recent days, with countless reports emerging surrounding the apparent change in attitude from the Burgess family towards Phoebe. The first snub appeared to happen on Instagram, where Sam's mum Julie, and Johanna no longer follow Sam's wife. Ouch. Julie also removed a feature photo from the couple's lavish wedding from her Facebook account, replacing it with a snap of her grandkids. Most recently, it has been suggested that Phoebe has taken a subtle swipe at Sam, when she liked a cryptic post on Instagram on Thursday. Their once picture perfect family life has been turned upside down. Though the Johnson's Baby Ambassador hasn't posted on the photo-sharing platform since sharing a photo of baby Billy on December 21, the Daily Mail reported she 'liked' a post by her manager Sharon Finnigan which read: "It's funny how you're nice to my face. It's hilarious how you talk s**t behind my back. And it's downright comical that you think I'm unaware." While it's definitely not clear she was thinking of her estranged hubby with that poignant post, it certainly suggests the rift between them is widening. Currently, Phoebe remains holed up in the family home with her mum Sarah Hooke, pregnant sister Jemima Fairbanks and her husband Gene, seemingly trying to avoid the mess that has engulfed her family life. But if the drama that has unfolded over the last nine days is anything to go by, the Burgess breakup saga is only just beginning.